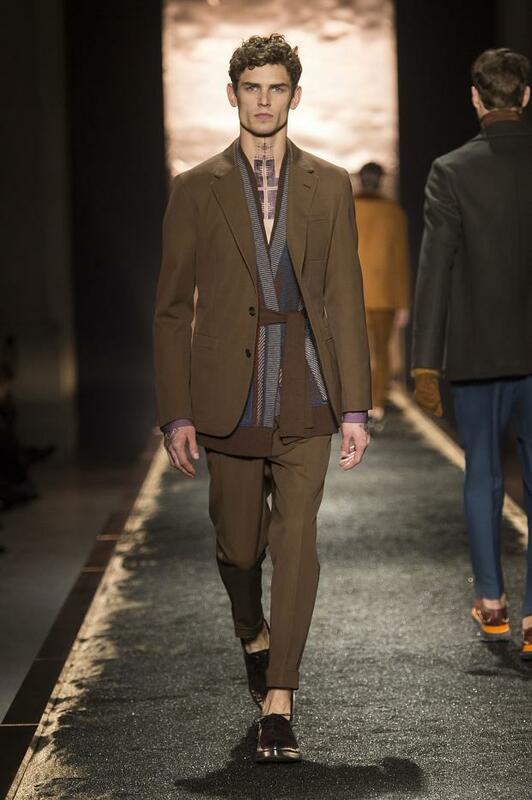 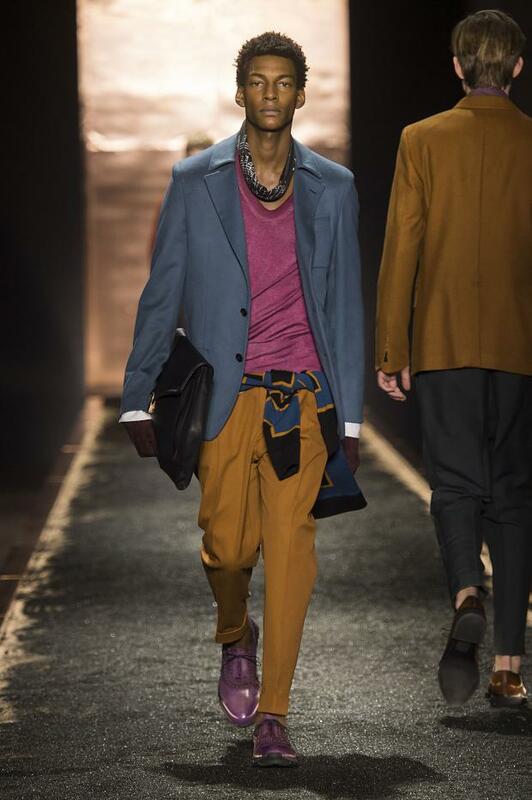 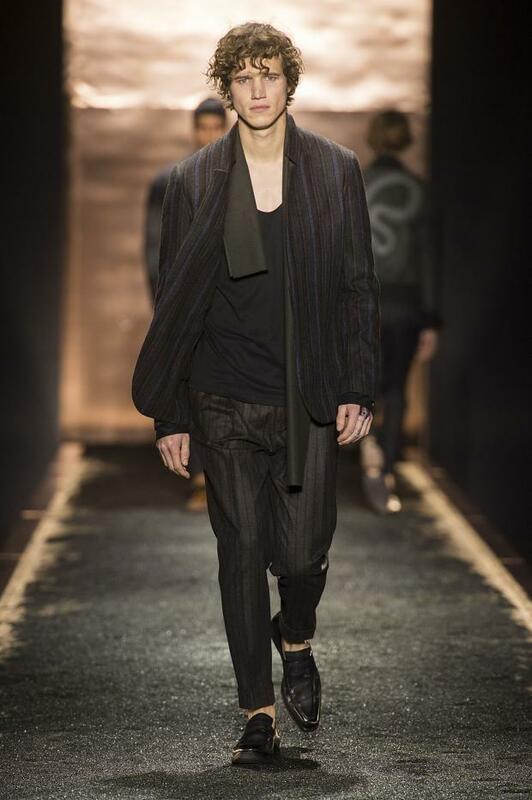 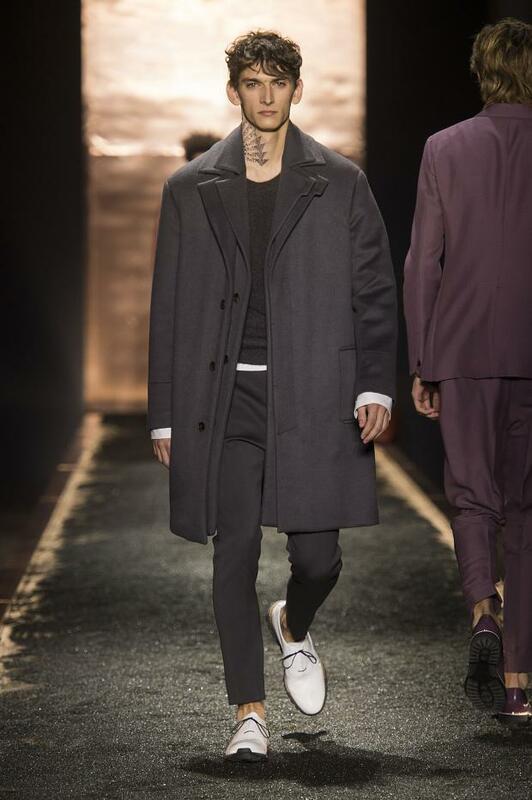 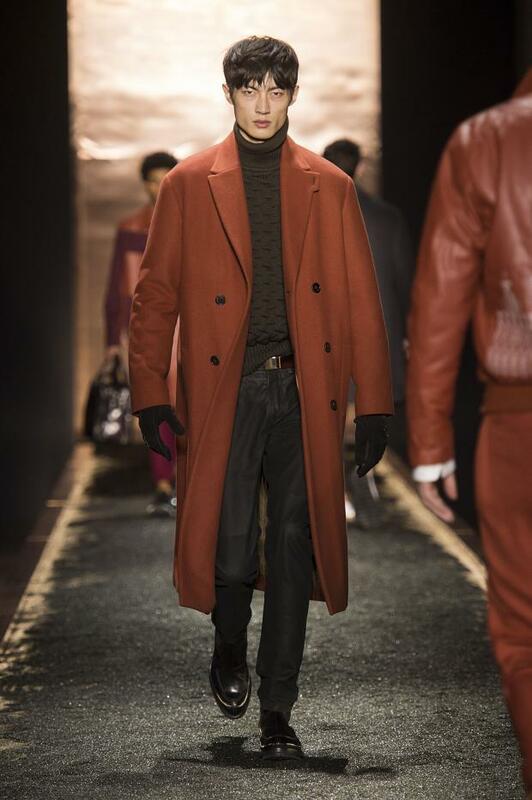 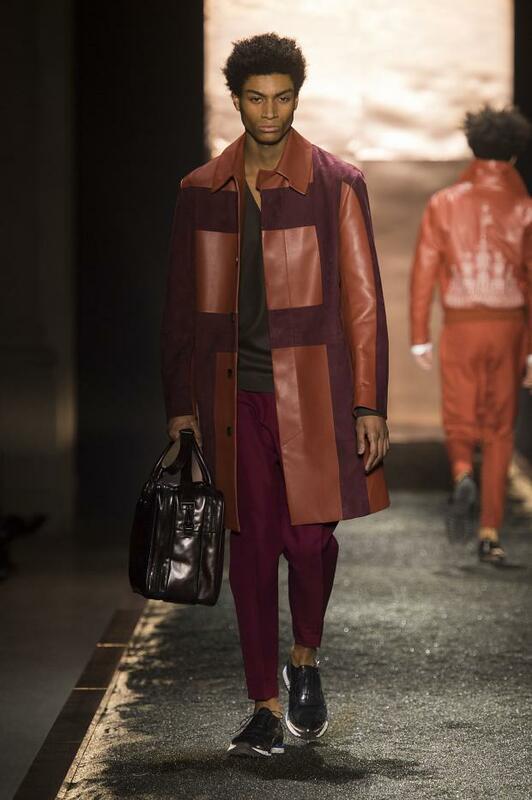 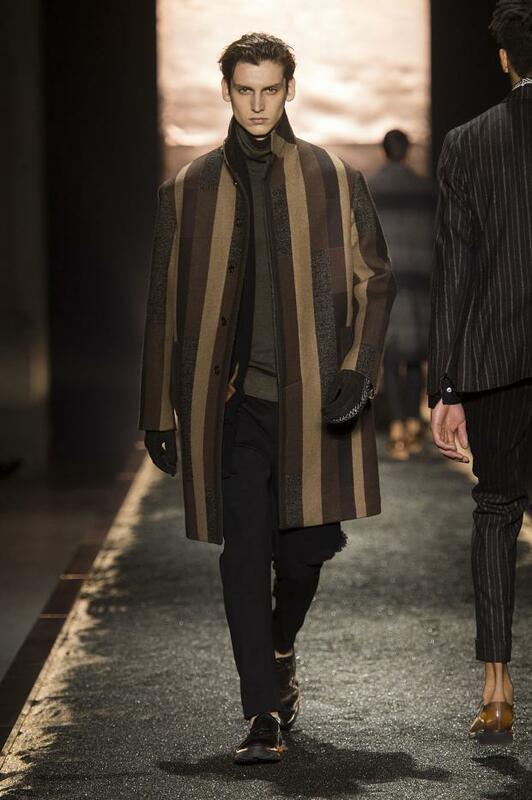 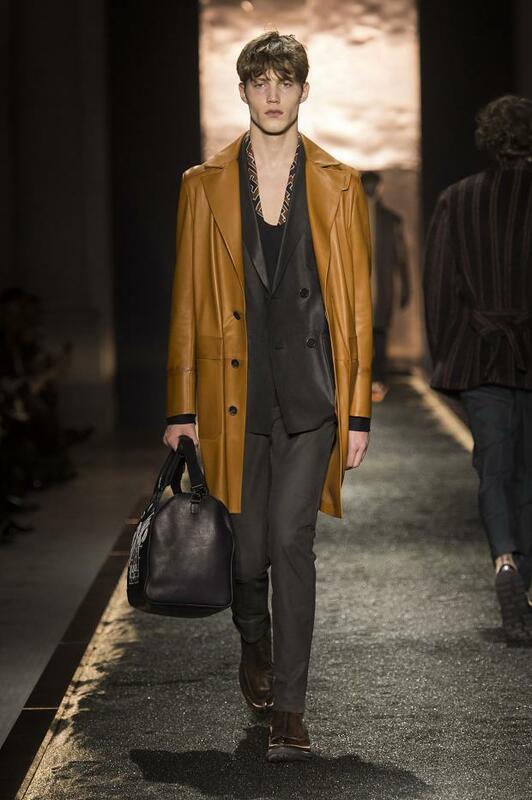 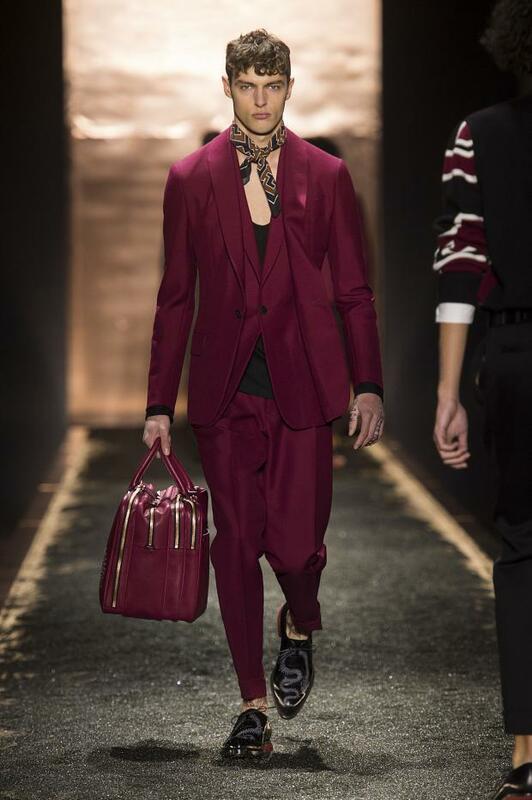 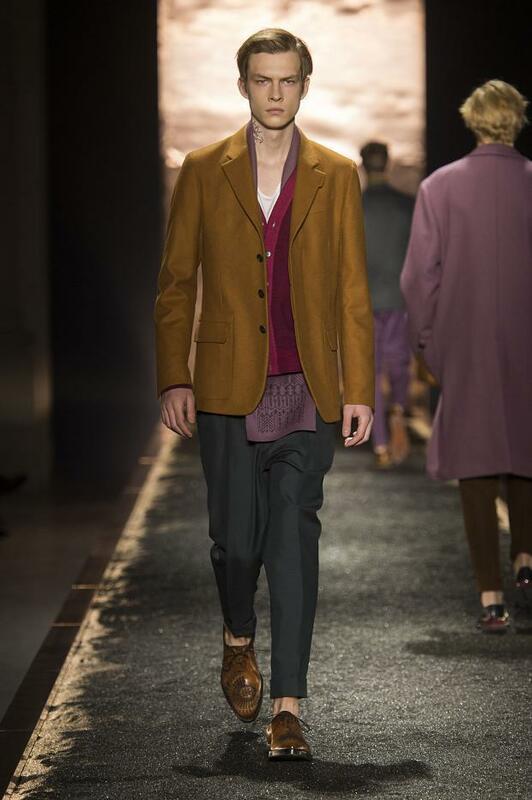 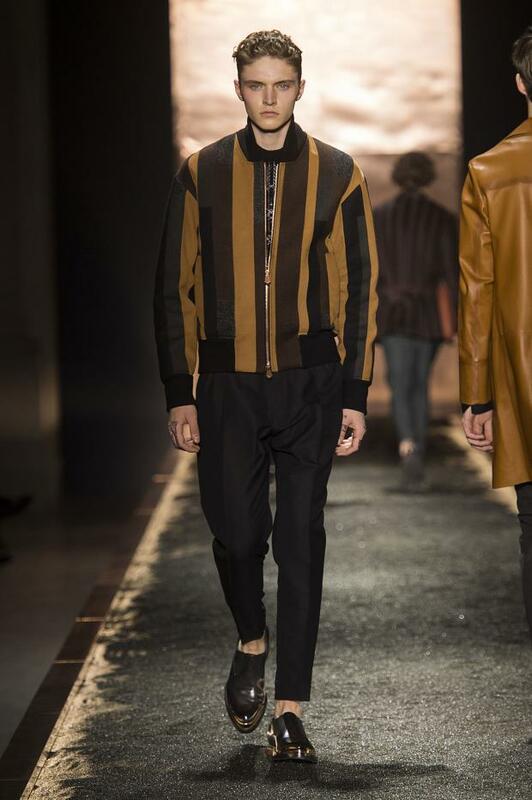 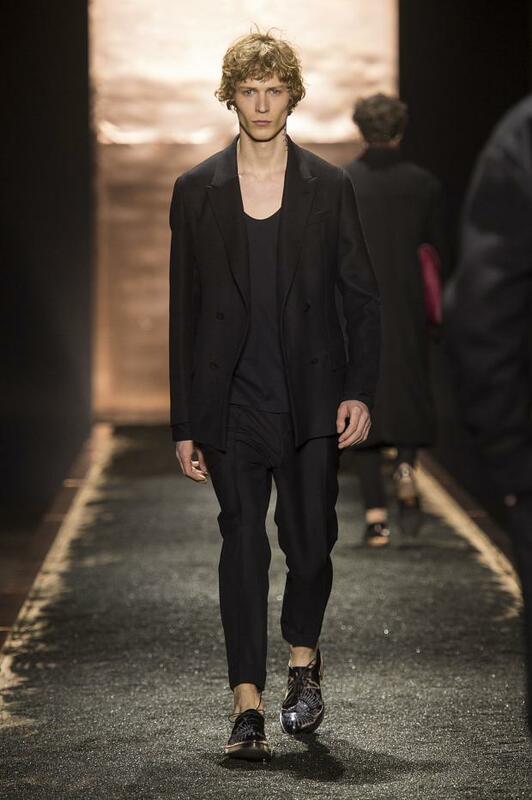 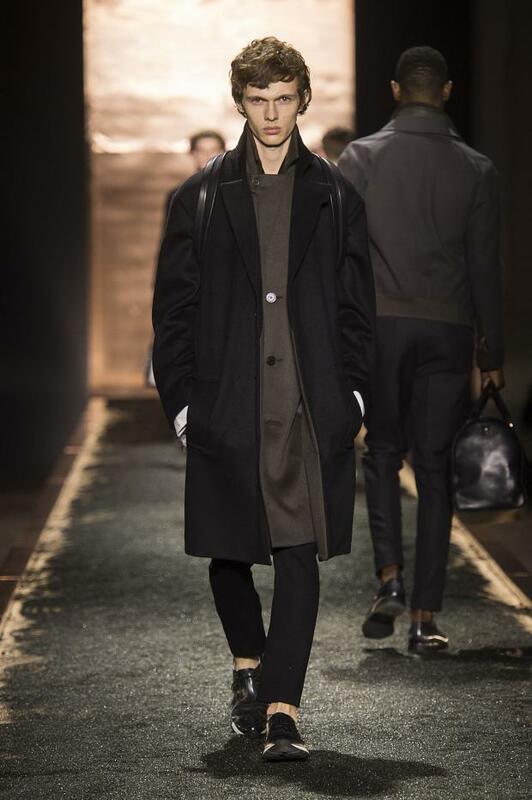 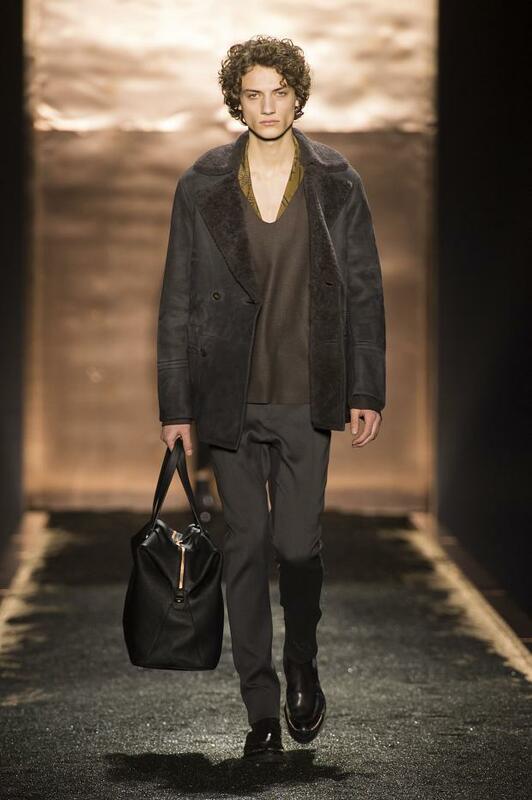 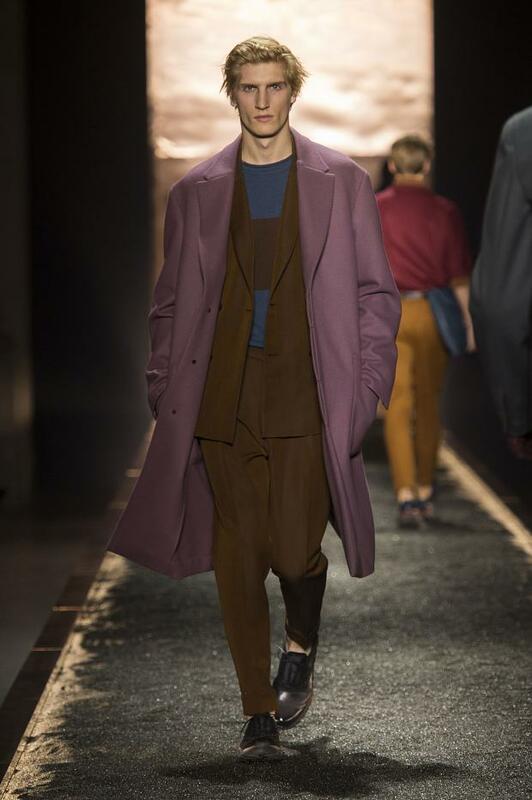 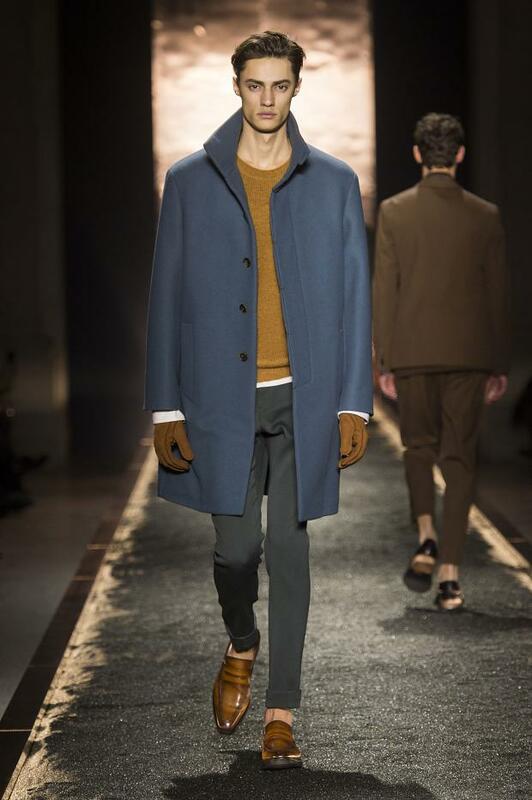 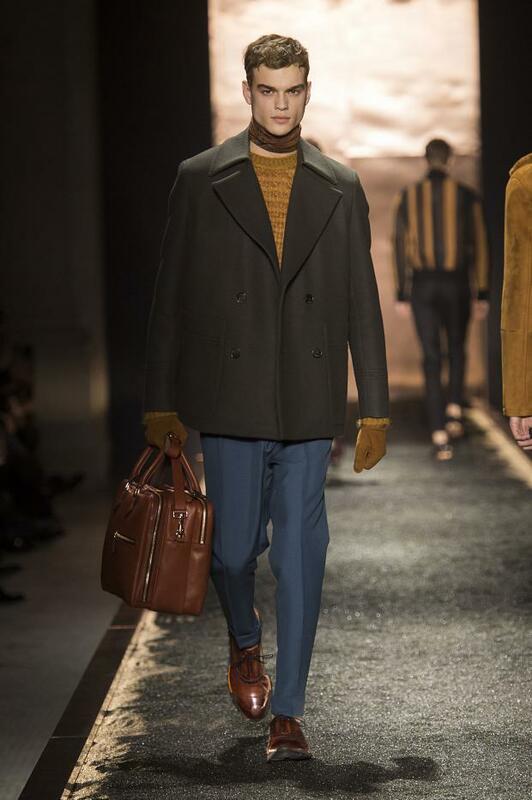 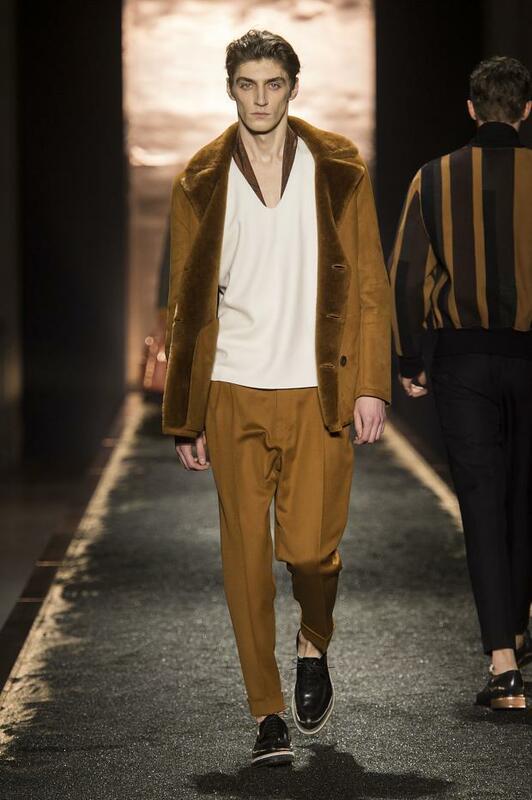 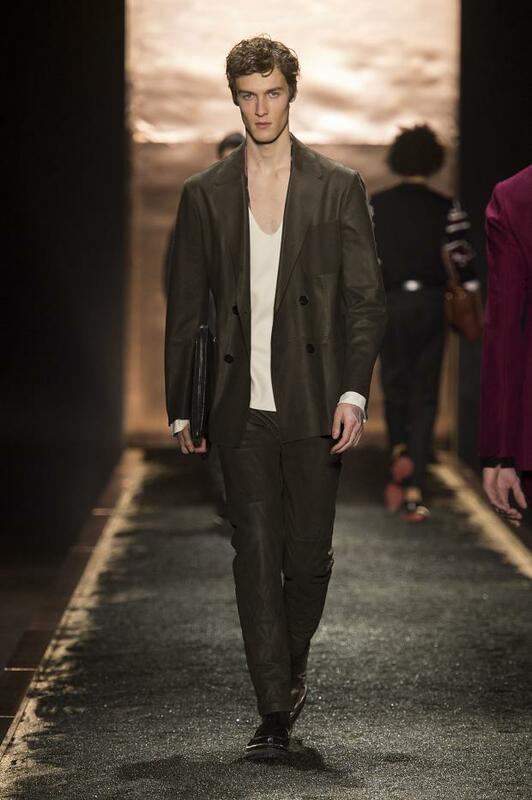 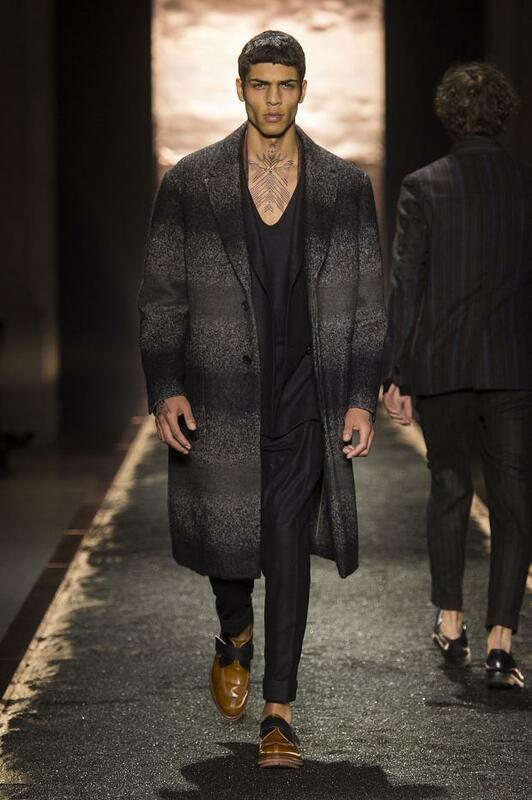 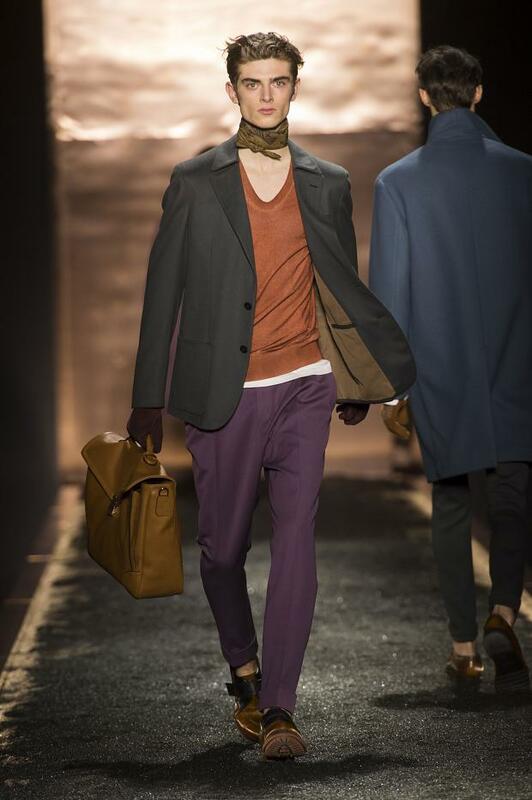 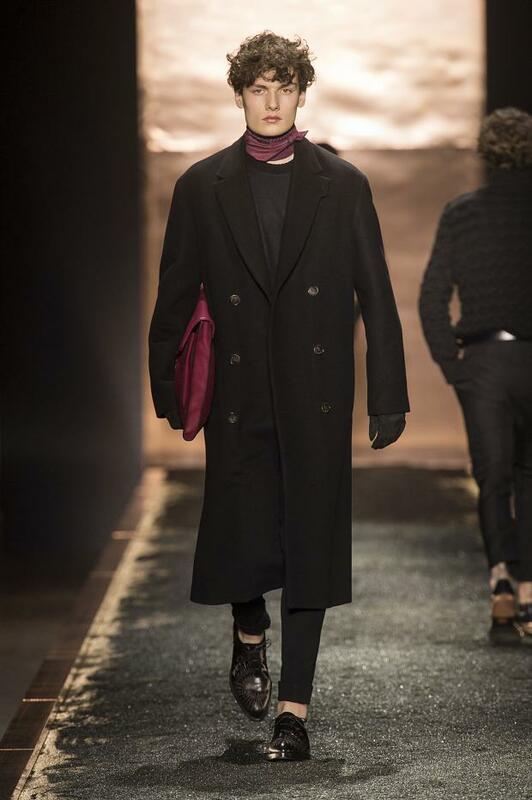 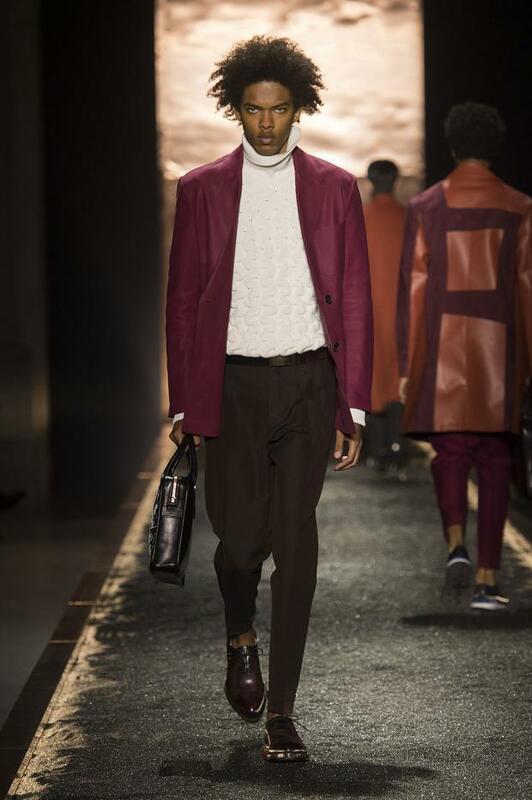 Alessandro Sartori was moving Berluti far away from the all-out colour explosion tailoring that dominated his summer show. 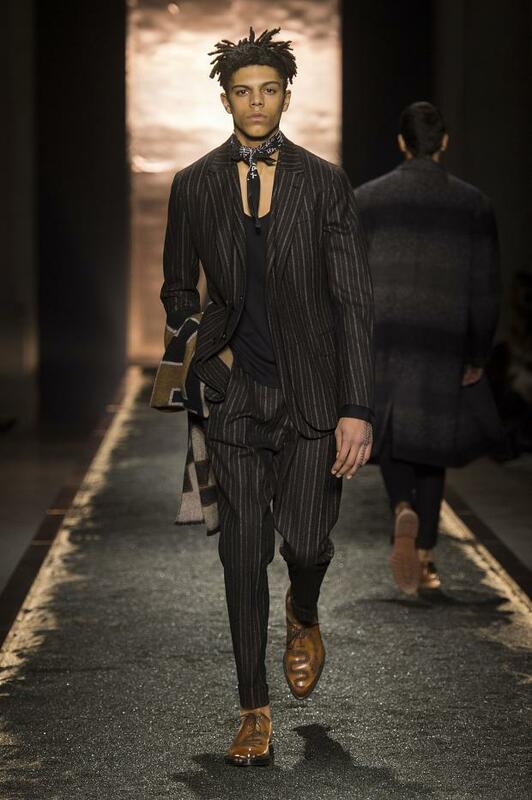 There were more overt nods to this newfound Western inspiration - most notable in the proliferation neckerchiefs and Aztec-style prints across shoes and leather goods courtesy of Brooklyn tattoo artist Scott Campbell - these colours were deployed across precise casual tailoring, all with a covetable twist. 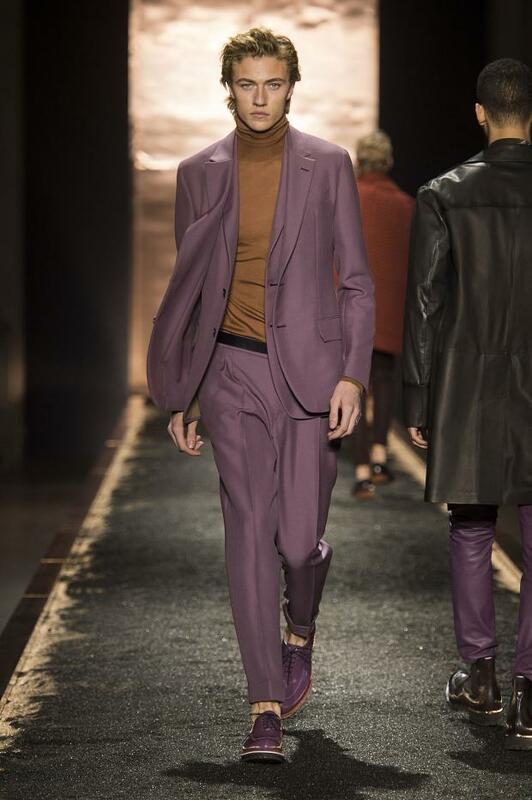 Trousers were carrot shaped looser around the thigh with a pleat, blazers had a second buttonable double layer at the front to give the impression the wearer was sporting two jackets at once and shirts were cut with a sleeve hitting the elbow. 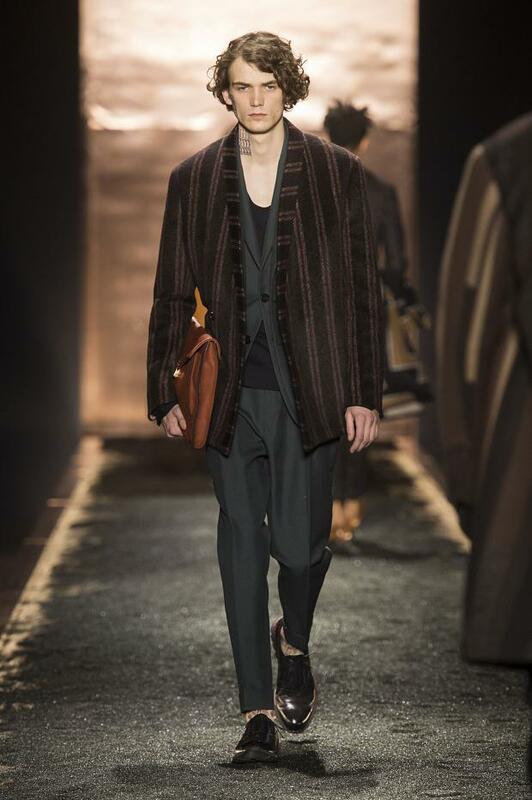 Rich olive and cream wools woven into an almost 3-d texture on rollnecks, cashmere patches on jackets and soft-yet-smart joggers slipped under looser, equally soft oversized jumpers and slouchy coats.